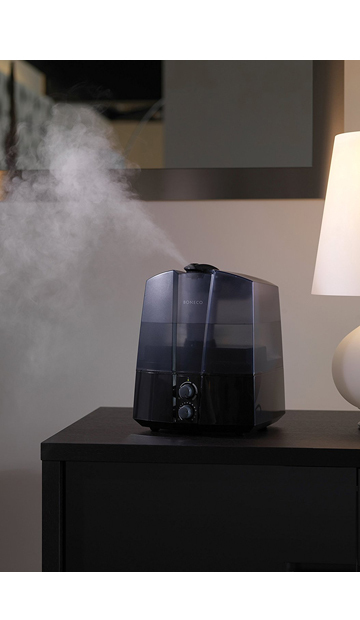 Create a comfortable, moisture-rich ambiance in your home or office with the Boneco 7145 Ultrasonic Humidifier. 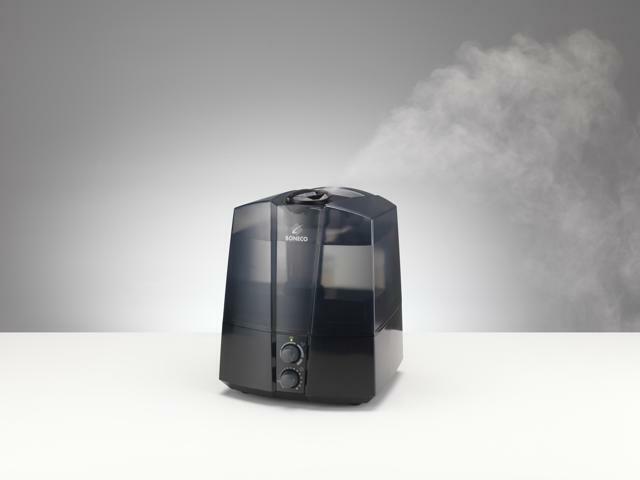 It packs all the features you’d expect from a high-end air humidifier into a compact, sleek footprint – including user-friendly design, whisper-quiet operation, auto shut-off function, long-lasting durability, etc. 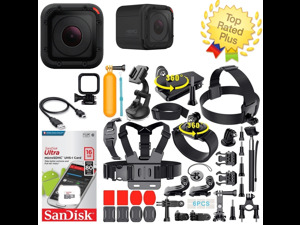 Essential water maintenance accessories (Hydro Cell, Demineralization cartridge and EZCal) are also included. 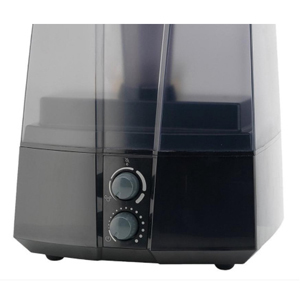 The Ultrasonic 7145 air humidification is extremely easy to operate. 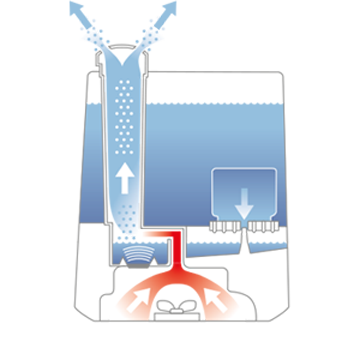 An integrated hygrostat lets you set the desired humidity – the mist output therefore adjusts itself automatically. 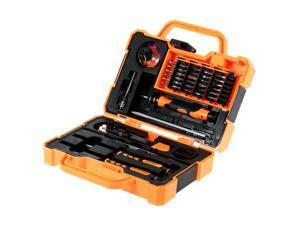 The humidity level can be specifically controlled at all times by means of a variable control. 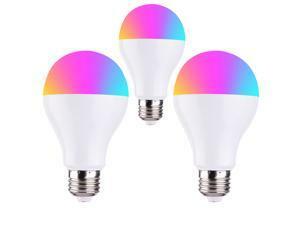 The whisper-quiet operation means it won't distract you while you're working or sleeping. 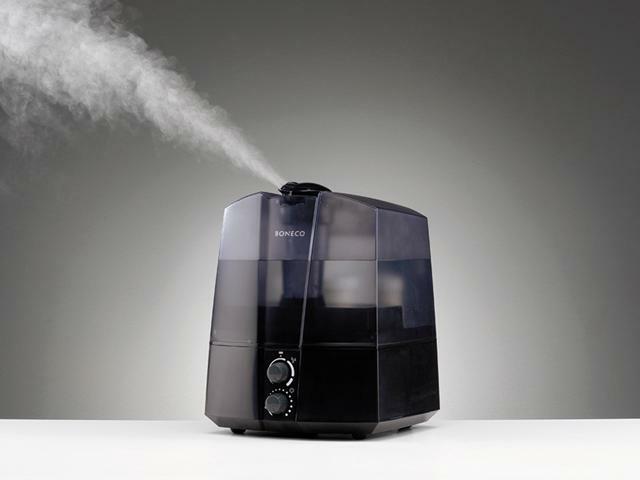 As soon as the water in the tank has been used up, the air humidifier will automatically shut off. And a practical reminder indicator comes on to remind you to refill water. Plus, the water tank is removable for easy refills. The mist can be distributed in two directions by using the double jet nozzle. 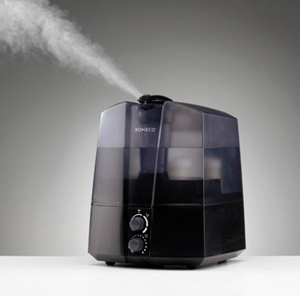 The air humidifier is easy to handle and clean. A cleaning brush is also included. 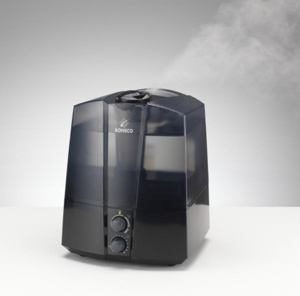 Constructed with high-quality components, the air humidifier provides long-lasting service life. The sleek, compact design seamlessly blends into any tight space. The Ultrasonic 7145 comes with Hydro Cell and demineralization cartridge accessories to keep water fresh and free of minerals. 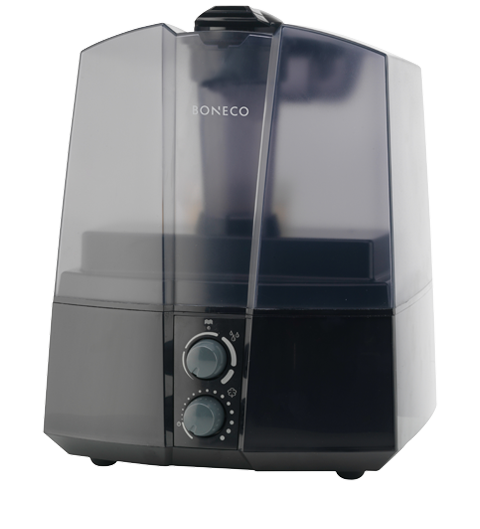 BONECO EZCal is also offered to help clean and descale your humidifier. Thanks to effective high-frequency technology, the water is converted into a micro-fine mist and given off to the indoor air by a fan. The integrated demineralization cartridge provides water mist without limescale. The included Hydro Cell ensures optimal water quality. The low-noise appliances have a very high level of humidification, which can be individually regulated by an output control. 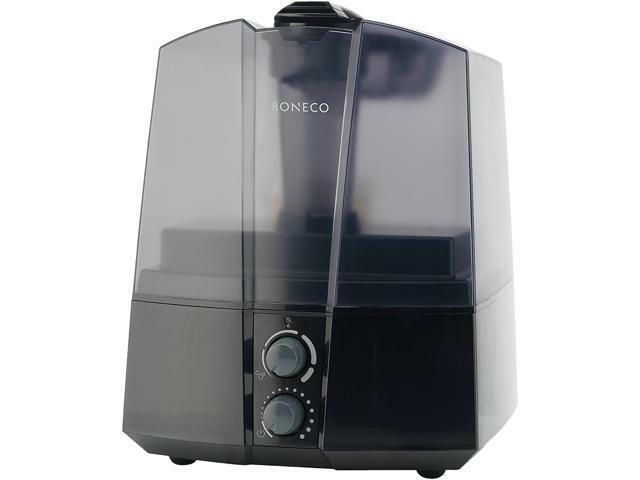 As the room temperature can fall slightly as the mist evaporates, most BONECO Ultrasonic Humidifiers can be set to give off cool or warm humidification at the press of a button. Dimension 12.20" x 9.50" x 10.30"